MARKETING IS NOT A DEPARTMENT—IT’S THE STORY OF HOW YOU CREATE DIFFERENCE FOR YOUR CUSTOMERS. We spent $500 billion globally on advertising in 2013. Every year we’re spending more money, to interrupt more people, more often, with messages they don’t care about and don’t pay attention to. We’ve come to believe that the way to succeed is to have an advantage—by being different or better, more visible, or just plain louder. 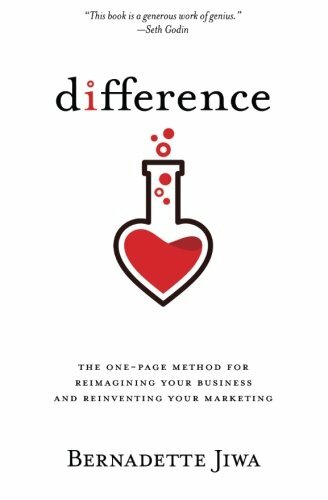 ‘Difference’ lifts the lid on how brands like Airbnb, Uber and Apple have succeeded by creating difference and gives you a new one-page method for reimagining your business and reinventing your marketing. It helps you to recognise opportunities that create value, to develop products and services that people want, and to matter to your customers.